Enlistment Date – 15 March 1915. 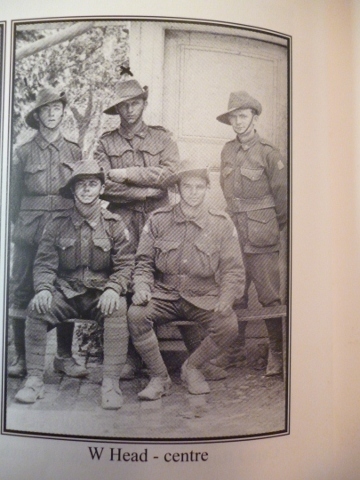 Address on Enlistment – 66 North Terrace, West Adelaide, S. A. Occupation on Enlistment – Baker. Next of Kin on Enlistment – Sister- Miss Lily Head, Prince of Wales Hotel, Bunbury, W. A.
Embarkation Details – From Adelaide on 31 May 1915 on HMAT A2 “ Geelong “.